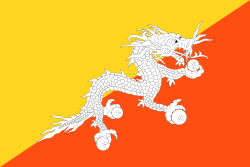 Butan (འབྲུག་ཡུལ་) yε ɔman Ehyia Asaspɔ so. Wɔn Ahenkuro ne Timfuu. This page was last edited on 15 August 2018, at 20:36.